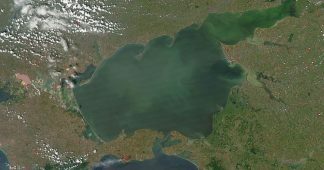 Last Sunday, Russia detained three Ukrainian Navy vessels and their 24 crewmembers after they violated Russia’s maritime borders and were engaged in dangerous manoeuvres in and around the Kerch Strait, an entrance to the Sea of Azov. 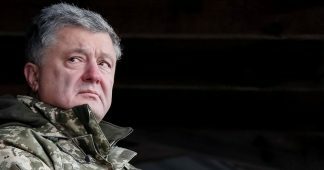 Former German Foreign Minister Sigmar Gabriel has described the Kerch Strait incident as an attempt by Kiev to draw Germany into a war over Ukraine. “I think that we by no means should allow Ukraine to drag us into the war. [Earlier], Ukraine tried to do so,” Gabriel underscored during his interview with the German news channel N-TV. 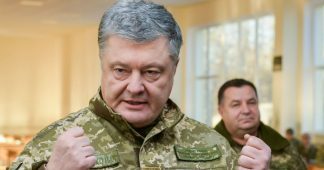 He expressed hope that German Chancellor Angela Merkel would succeed in encouraging Ukraine and Russia to normalize bilateral relations, given that it was Merkel who along with former French President Francois Hollande, prevented the conflict in eastern Ukraine from further flaring up several years ago. Gabriel also urged US President Donald Trump not to distance himself from the Kerch Strait row, saying it wouldn’t deter further escalation. In addition, Gabriel criticized Ukrainian President Petro Poroshenko for calling for NATO ships to be sent to the Black Sea, as well as the closure of international ports for Russian ships coming from the Sea of Azov. “The only way out of this completely hopeless conflict is to establish a truce, achieve heavy weapons withdrawal from both sides and then take the first step towards lifting the sanctions,” the ex-German President concluded. On Thursday, a diplomatic source in Brussels told Sputnik that France, Germany and several other EU members had rejected calls to toughen sanctions against Russia over the Kerch Strait incident despite Poland’s push to slap Russia with new restrictive measures. On November 25, three Ukrainian Navy vessels, the Berdyansk, Nikopol, and Yany Kapu — entered Russian territorial waters that were temporarily closed and began moving toward the Kerch Strait, which serves as an entrance to the sea. 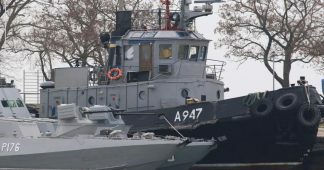 The Ukrainian vessels and their 24 crew members were detained by Russia after failing to respond to a lawful demand that they stop. Russian President Vladimir Putin called the incident a pre-planned provocation, saying that it seemed to be connected to Ukrainian President Poroshenko’s low approval ratings ahead of next spring’s presidential elections. In response to the incident, Ukrainian authorities introduced martial law in certain regions of Ukraine along the border with Russia as well as along the coast of the Black Sea and the Sea of Azov for 30 days. 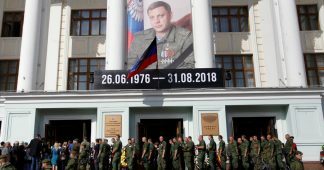 The conflict in eastern Ukraine’s Donbass region started in 2014, when Ukrainian authorities launched a military operation against the self-proclaimed Donetsk and Luhansk People’s Republics, which refused to recognize the new government in Kiev that came to power after what they considered to be a coup. In February 2015, the conflicting sides signed the Minsk peace accords to end the fighting in the region, but the situation has remained tense, with both parties accusing each other of ceasefire violations. Since 2014, EU members and the US have imposed several rounds of anti-Russian sanctions over Moscow’s alleged involvement in the Ukraine conflict. Russia has repeatedly refuted the allegations of interference in Ukraine’s affairs, warning that the Western sanctions are counterproductive and undermine global stability.